The hobbyist fish keeper has two core goals in mind. The first is to create an environment in which fish are able to exhibit their natural behaviours and appearances; and the second is to create an environment in which those behaviours and colourings can be seen. The two are not necessarily mutually entwined - as we shall see. The pond keeper, for example, is in charge of an environment significantly different from the aquarium keeper. A pond can be hard to see into, and is generally used as a feature that forms a part of a larger whole - the garden area of the home in question. Fish are introduced as living art, part of the overall feel and theme of the feature: but the pond keeper designs and maintains an environment in which that art is less immediately visible. The aquarium keeper's environment Is designed to allow the onlooker to see beneath the surface - to get right into the world of the fish without the interruption of the surface, or of the plants one would normally find floating there. In general terms, then, it may be supposed that the aquarium keeper looks to create an environment that shows off fish whose appearance is the entire reason for the existence of the installation - this is certainly true of tropical fish keepers, whose bright neons and outlandishly coloured Discus fish are the centrepiece of the whole display. Behind the scenes, though, the equipment used in both hobbies is surprisingly similar. Or perhaps not so surprisingly, when one stops to consider that whether you can see into it or not, water is water - and the fish that live in it have basically identical needs. All fish need to breathe oxygen, which they get in captive situations from pumps. They also need to excrete nitrogen based compounds, which can poison them if not properly scrubbed out of their environment. To this end, the bulk of absolutely vital aquarium supplies & pond supplies are designed to control the levels of nitrates and nitrites in water, and to regulate the amount of oxygen that gets into the environment. Specific fish types and species have individual requirements. A tropical fish, for instance, needs its water to be much warmer than fish indigenous to the UK. It also needs a much higher quotient of UV light, which is why tropical fish tanks often have UV strips placed in them. By running these strips to a timer, the aquarium keeper is able to simulate the regular 12 hours of sunlight that strikes he shallow waters around reefs, where most tropical fish congregate. It can be difficult to precisely mimic the complete conditions of every fish under one's care - especially when multiple species from slightly different originating habitats are kept in the same tank. To better emulate their normal surroundings, the fish keeper may also be required to research food supplements aimed at individual species or genus of fish. Author Bio: Peter Johnson loves aquatic animals, especially fish. He has a fascinating range of fish in his aquariums and takes good care of them. 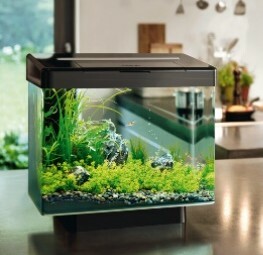 In this article he is providing us with some valuable information on Aquarium supplies .